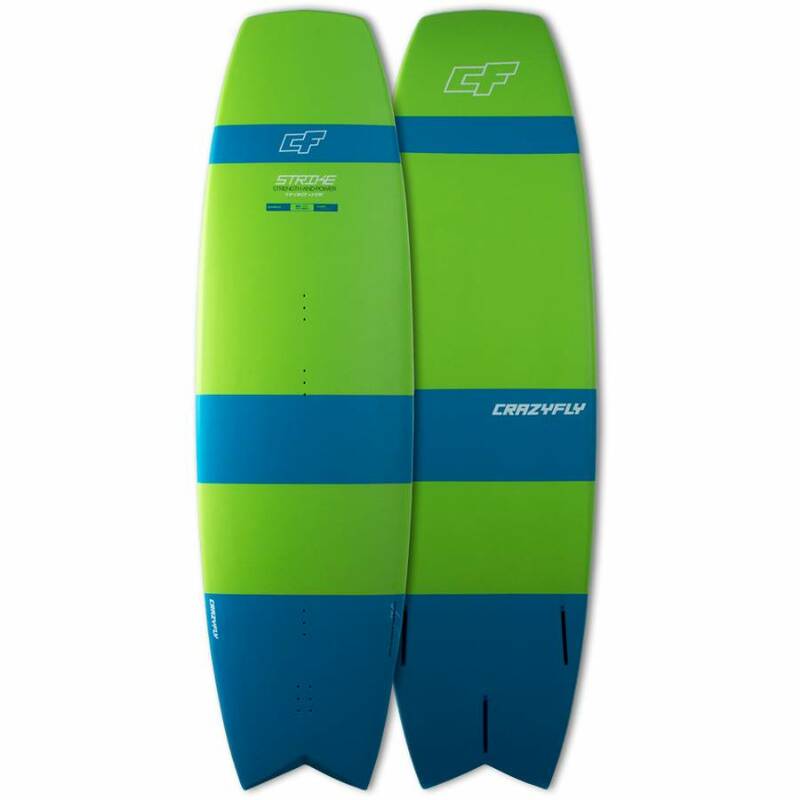 The Strike delivers maximum performance in small to medium surf and works great for strapless freestyle tricks. It features a cut off nose shape for powered snappy turning and straighter outline for more control in the chop. 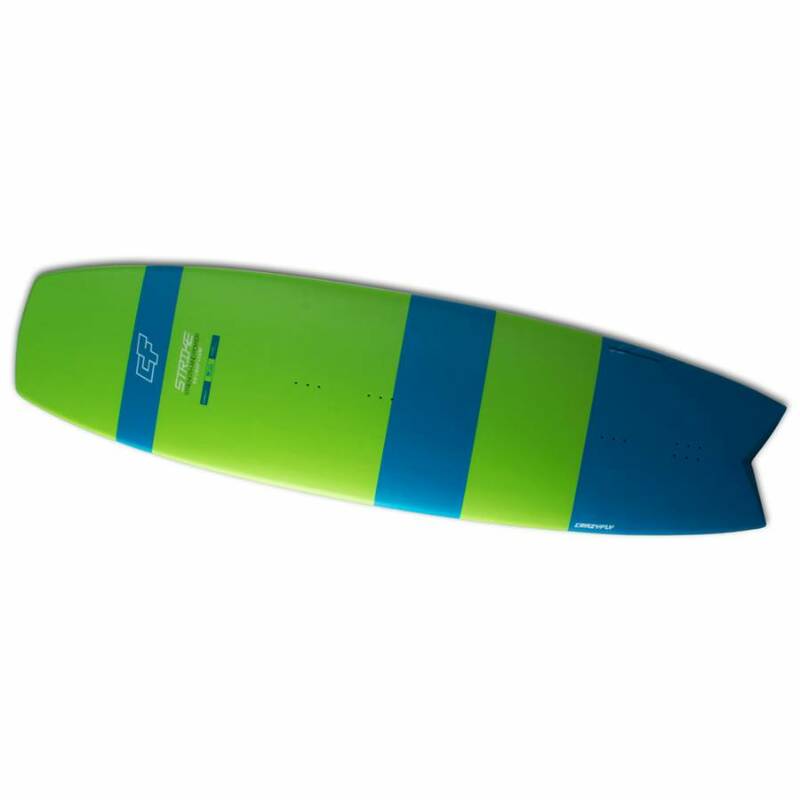 This outline allows the Strike to have as much volume as regular surfboard shapes, even with the cut off nose. 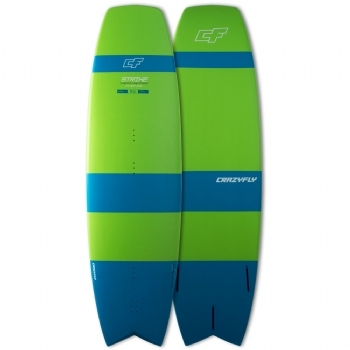 The volume of the board is more centered under the rider?s feet and provides easier and more precise control. 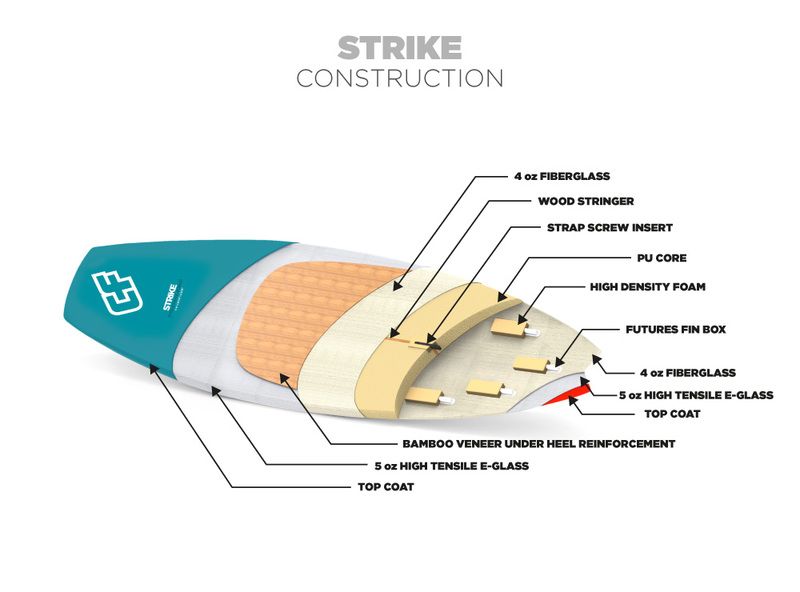 With a wider center, straighter outline and cut off nose, the Strike is extremely easy to ride. If you are looking for an easy to ride dynamic board for small to medium surf and some strapless airs, the Strike is the right choice. The Strapless comes complete with a self-adhesive EVA deck pad, two surf straps, and 3 surf fins. LENGTH: 5' 4" 5' 6"
WIDTH: 18 1/2" 18 1/2"
THICKNESS: 2 3/16" 2 3/16"